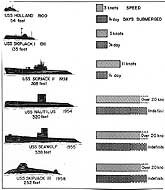 This page features miscellaneous views related to USS Holland. 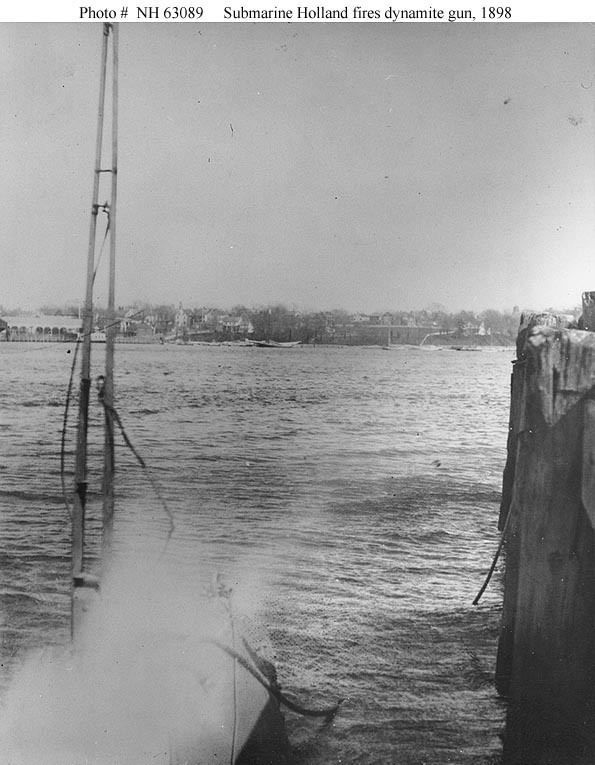 Firing her bow Zalinsky dynamite gun while docked at Perth Amboy, New Jersey, in the spring of 1898. 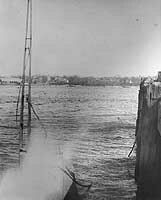 The projectile is visible in flight, in the photograph's upper right. Courtesy of Dr. R.K. Morris. At the Atlantic Yacht Basin, Brooklyn, New York, in the late summer of 1898. 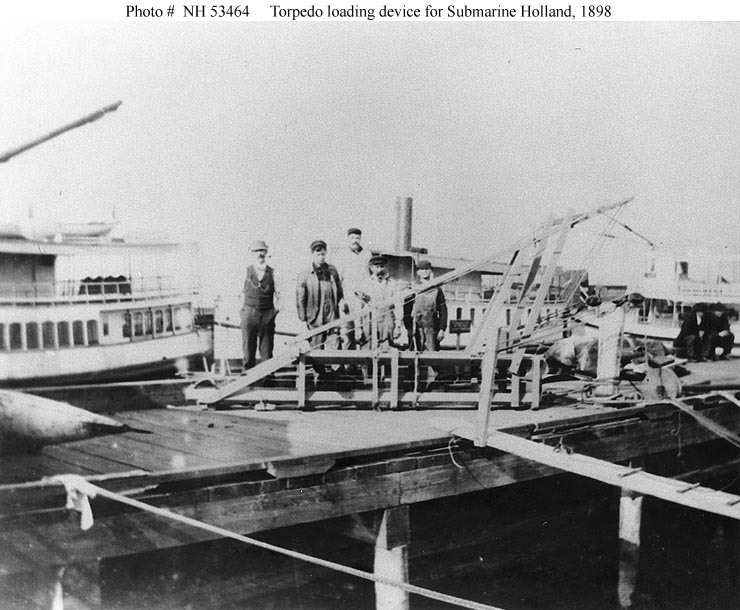 A torpedo (or dummy torpedo) is partially visible at left. 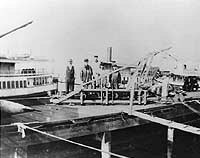 Frank Cable is at left in the group of men standing by the loading device. 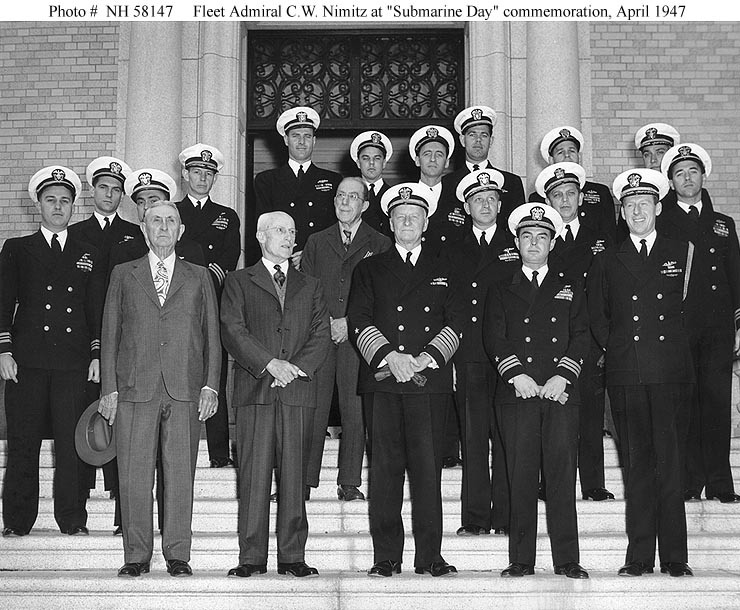 Fleet Admiral Chester W. Nimitz, Chief of Naval Operations, is greeted by a group of submarine officers on duty at the Naval Academy, and by two members of the original crew of USS Holland, the Navy's first submarine, which had been accepted for service 47 years previously. Commander Eugene B. Fluckey, Aide to FAdm. 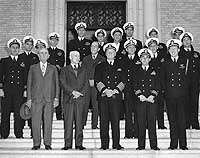 Nimitz. Senator T.F. Green of Rhode Island is standing behind FAdm. Nimitz. 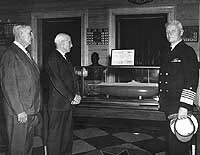 Fleet Admiral Chester W. Nimitz, Chief of Naval Operations, stands by a model of USS Holland, the Navy's first submarine, which had been accepted for service 47 years previously. 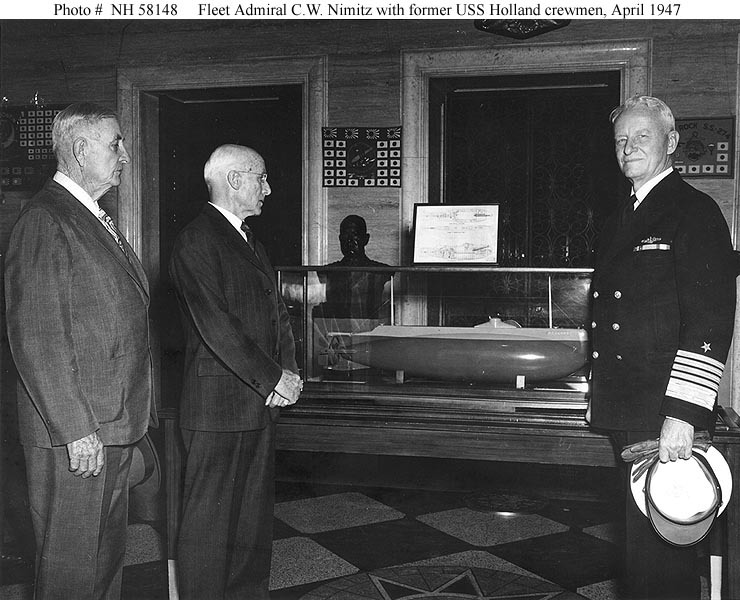 Also present are two of Holland's original crewmen, Mr. Harry Wahab and Mr. Richard O. Williams. 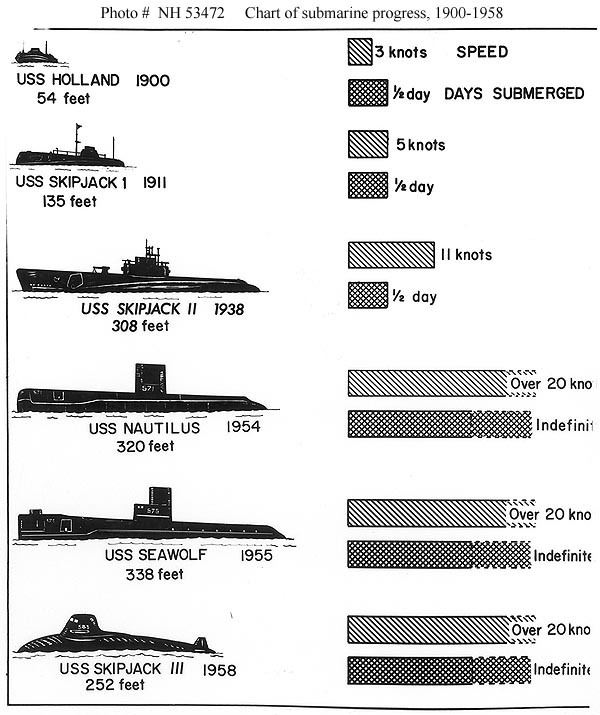 Comparing the length, speed and submerged endurance of USS Holland (Submarine # 1), USS E-1 (ex-Skipjack, Submarine # 24), USS Skipjack (SS-184), USS Nautilus (SSN-571), USS Seawolf (SSN-575) and USS Skipjack (SSN-585).